Where can I adjust my invitation options? The invitation options can be set after you have finished designing your invitation. If you have not yet sent your invitation, you can access invitation options on the Add Guests page by clicking the Set Options button. 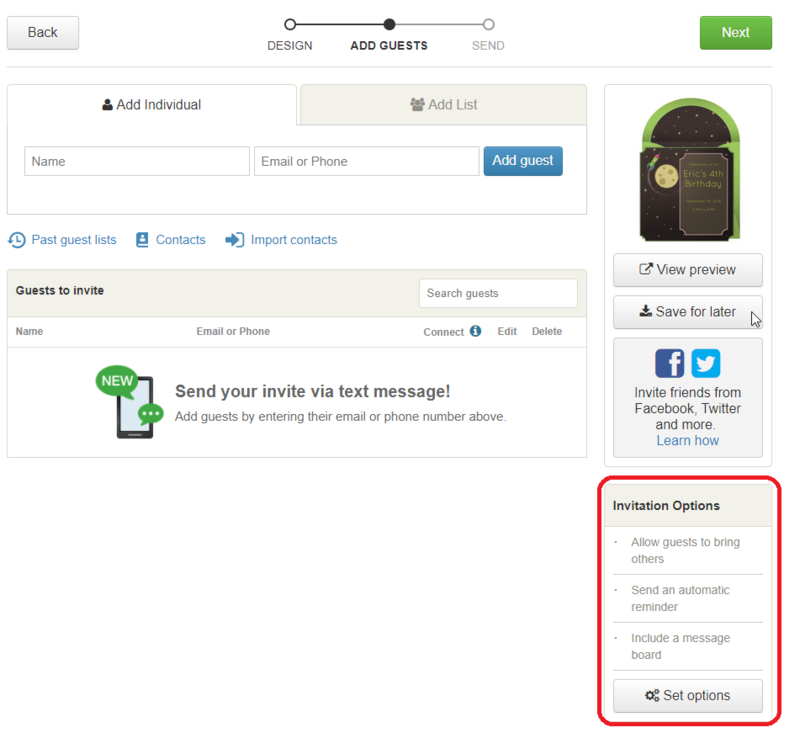 If you have already sent your invitation, the options can be adjusted from the Manage Invitation page. 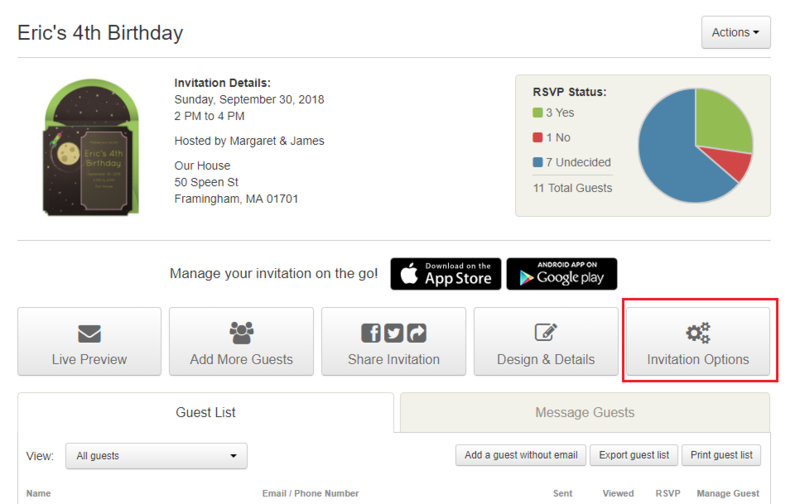 Once there, click on the Invitation Options button on the right side of the page. If you are using the mobile app and have not yet sent your invitation, you can access the invitation options on the Review and Send page by tapping on the Invitation Options button at the bottom of the page. If you are using the mobile app and have already sent your invitation, the options can be adjusted by tapping on the My Invites tab and selecting your invitation. Once there, you can tap on the Invitation Options button.